18 x 24 student canvas or water color paper 18 x 24 cold press 140 lb. How to paint without brush marks like Rothko. Mixing colors from primary paints and white. Using color to show expression or feelings. Using dark and light colors to make a statement. 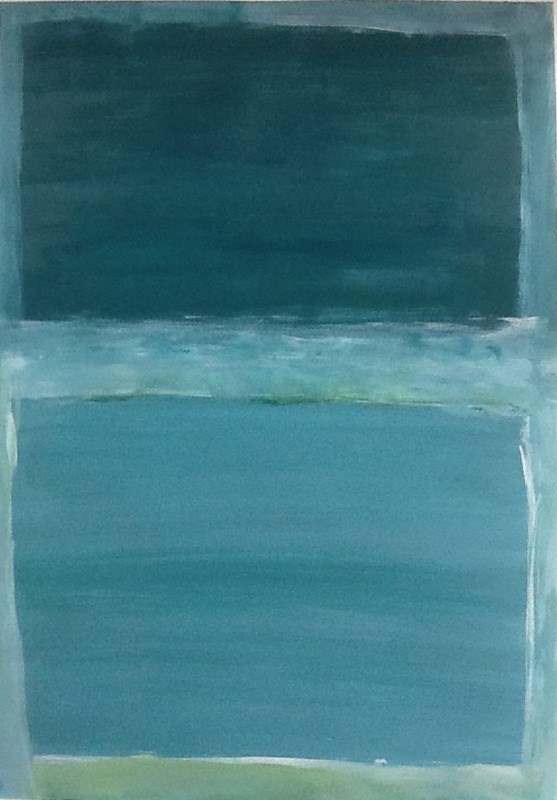 Begin by showing students some of Rothko’s paintings and work. Discuss the colors and feelings of each piece. Wet 3 sponges for each student and let them choose the color they will work with. Have them mix the dark color first and using one of the sponges paint a portion of their piece. Then have them add white and mix the lighter version of their color. Then have them use another sponge and paint the rest of the piece. Use the third sponge for wiping spots and smoothing. If time permits have them use white in some form around the edges being careful not to push or mix too hard then the white will just mix in. The most challenging part of this lesson is using the sponge to get rid of marks etc. Let dry and then spray or put a gloss finish to seal.